(16/P69) TRENTON – Workplaces that install electric-vehicle charging stations are eligible for special state recognition, Department of Environmental Protection Commissioner Bob Martin and New Jersey Board of Public Utilities President Richard S. Mroz announced today. 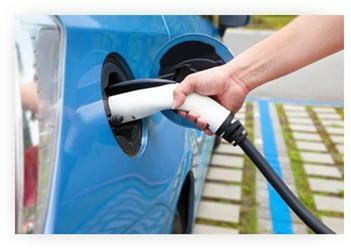 The recognition program, “NJ Charging Challenge: Electrify Your Workplace,” complements the recently announced “It Pays To Plug In” program, a joint initiative of the DEP and BPU that provides grants to help employers make electric-vehicle charging stations available to their workforces. 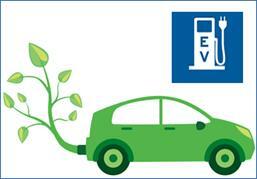 The DEP is currently soliciting applications from employers for recognition in the NJ Charging Challenge program. Employers from both the private and public sectors who have installed at least two electric-vehicle charging stations at their workplaces since January 1, 2015 are eligible to participate in the challenge. All workplaces that qualify will receive a certificate from the state. Top-performing employers will be honored during the annual Governor’s Environmental Excellence Awards ceremony this December in Trenton. “The response to the ‘It Pays To Plug In’ grant program has been very positive, and we want to keep building on this success by formally acknowledging those employers who are working to make it more practical for people to buy and drive electric vehicles, in the process improving air quality and setting an example for others to follow,” Commissioner Martin said. The use of more electric vehicles on New Jersey’s roads will reduce the amount of tailpipe emissions from gasoline-fueled vehicles that affect air quality, an important goal of the Christie Administration. Emissions from gasoline-fueled vehicles are a primary cause of ground-level ozone – also known as smog – during summer months. Smog is a respiratory irritant that can affect the health of everyone, but especially the young, the old and those with existing lung conditions. Between 2012 and 2015, the number of electric vehicles registered in New Jersey has risen dramatically, from 1,741 to 7,818. As the number of electric vehicles increases, the public and private sectors have been working cooperatively to improve opportunities for installation of charging stations that offer a range of technologies from quick short-trip charges and medium-trip charges to rapid long-range charging.